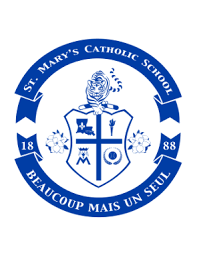 Students at the St. Mary's have a remarkable range of opportunities to grow outside of the classroom. Whether they participate in a club, a sports team or one of our "EVENT" activities, every student should be able to find something that interests them. Students are encouraged to participate in at least one club or organization. If a student is interested in becoming a member of a group, they should contact the sponsor of the group at the beginning of the school year. All students in clubs/activities must maintain a 2.0 GPA. Some clubs may require a higher GPA. Students joining any organization accept the responsibility of familiarizing themselves with the constitution, rules and regulations of the organization of which they become a member. Banking for students provides lessons in saving money, budgeting and banking processes, while incorporating math and reading skills. Services provided by City Bank of Natchitoches. The 4-H idea is simple: help young people and their families gain the skills they need to be proactive forces in their communities’ and develop ideas for a more innovative economy. 4-H opens the door for young people to learn leadership skills and explore ways to give back. 4-H revolutionized how youth connected to practical, hands-on learning experiences while outside of the classroom. High School and Junior High 4-H meets on the second Wednesday of every month at 2:30 pm. Elementary 4-H meets on the third Tuesday of every month at 2:10 pm. The mission of Beta is to promote the ideals of academic achievement, character, service and leadership among elementary and secondary school students. The Beta Club meets on the first Thursday of every month at 2:30 pm. The National Honor Society (NHS) is the nation's premier organization established to recognize outstanding high school students. More than just an honor roll, NHS honors those students who have demonstrated excellence in the areas of Scholarship, Leadership, Service, and Character. The NHS meets on the second Tuesday of every month at 2:30 pm. Students learn computer coding through the Hour of Code website. The Hour of Code is an introduction to computer science, designed to demystify "code", to show that anybody can learn the basics, and to broaden participation in the field of computer science. The Drama Club is an organization that studies acting and various aspects of the performing arts. The group plans, creates and does plays, skits and other performances. The group also competes every year at the Northwest District Literary Rally. Drama Club meets every Tuesday at 3:00 pm. The mission of FBLA is to bring business and education together in a positive working relationship through innovative leadership and career development programs. The FBLA meets on the first Tuesday of every month at 2:30 pm. The Mission of FCA is to see the word impacted for Jesus Christ through the influence of coaches and athletes and to present to caoches, athletes and all those they influence, the challenge and adventure of receiving Jesus Christ as Savior and Lord, serving Him in their relationship and in the fellowship of the Church. Teen Life is a youth group for our young adults. They meet regularly at Holy Cross and participate in retreats, bible study and fellowship with one another. Qualified students in ninth through twelfth grade run for positions on the council. Students elected to office serve for one academic year. Each elected class President is a member of the council representing their class. Each organization of the school also is represented on Student Council with a representative. The goal of Student Council is to promote positive student participation within the school and its community to be vehicles for positive change. The Student Council meets on the third Thursday of every month. Yearbook staff are responsible for planning and producing the annual school yearbook. Students develop skills in use of computers, research, interviewing, writing captions, quality photography, designing layouts, and editing. Students develop skills in the use of Adobe InDesign. In addition to the development of higher level writing skills and professionalism, students also learn about the laws and ethics of journalism.